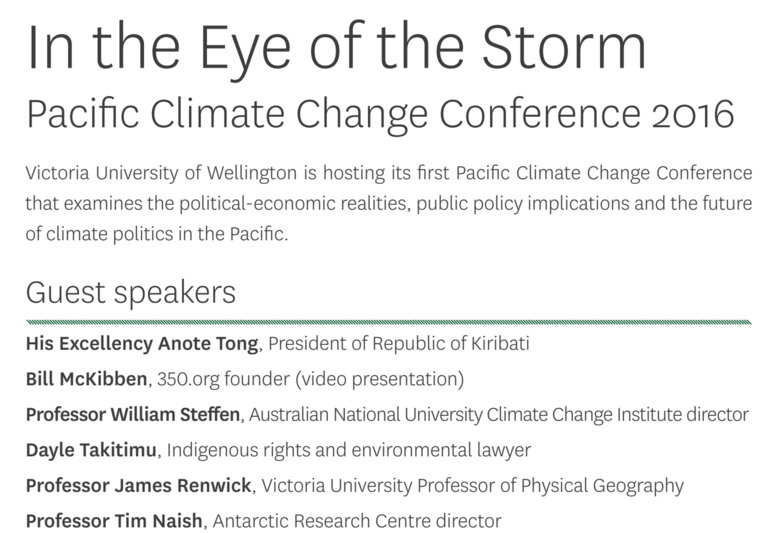 Victoria University’s Pacific Climate Change Conference will be held February 15 – 17 in Wellington and proves timely with Pacific nations making up a vocal minority at last month’s COP21 climate negotiations in Paris. Line-ups for the conference is below… check out the website for more details. Sciblogs writer Dr Sarah-Jane O’Connor will be filing some of the highlights from the conference here. – What can the Pacific expect from the changing climate?